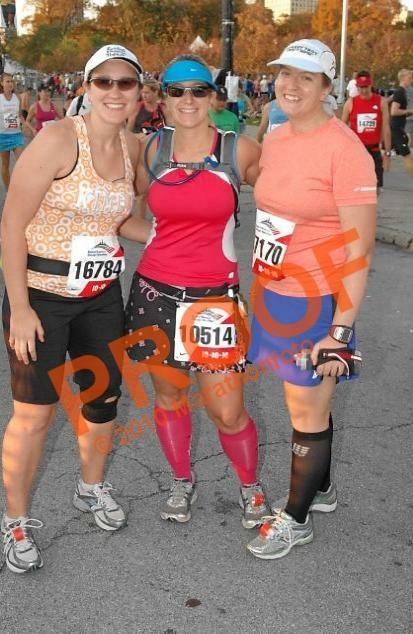 You may or may not have already read my ramblings about the race (and my weekend) here, but our official race pictures are out! Now do I spend half my salary (ok, I’m exaggerating, but these things are EXPENSIVE) and buy them? No idea where this was, but it must have been early on, since there was still shade. 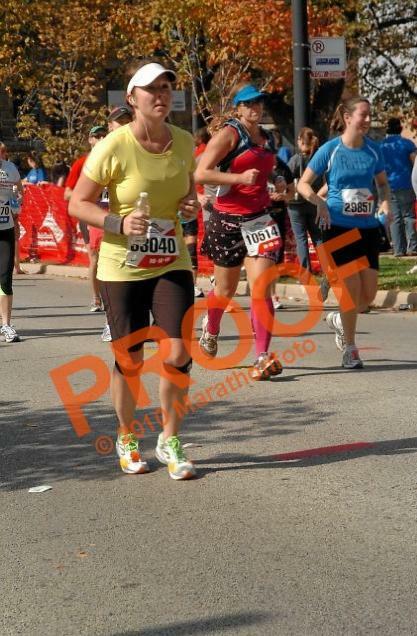 I think the light colored visor to my right, right next to the guy in blue is Tracy. 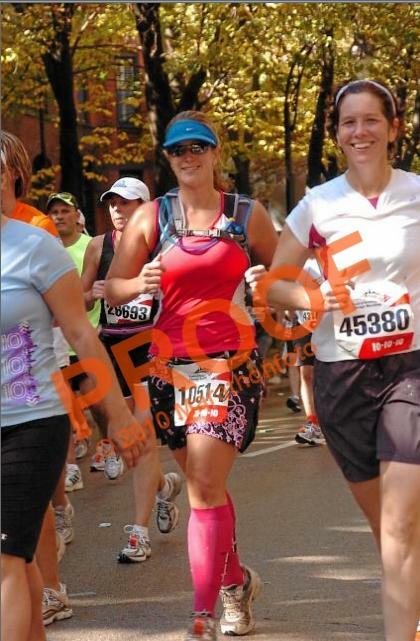 Always smile when you see the photographer, it makes you look like you’re actually enjoying yourself! 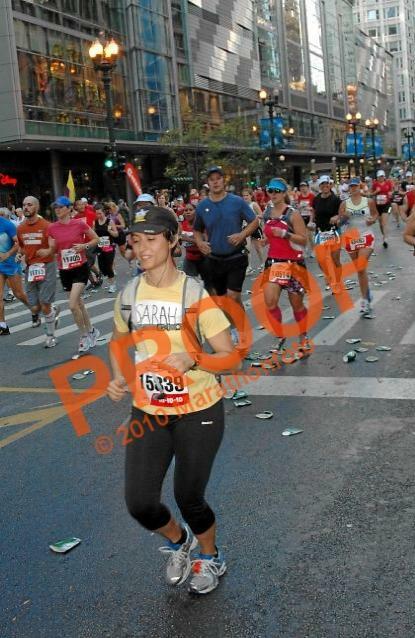 Here I just look like I’m concentrating too hard… As if I’m actually trying to stay on top of the line. 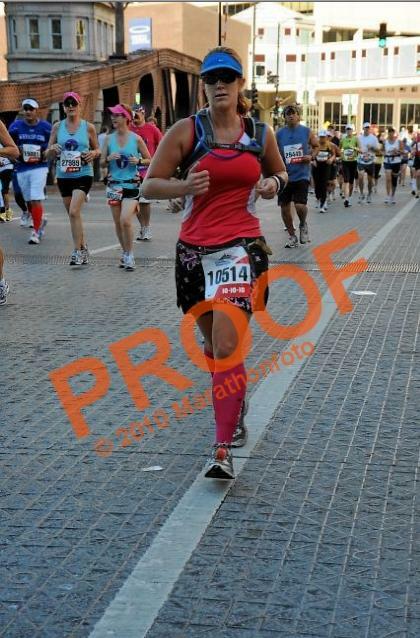 Picking up the run, but doing some major heel strike here. 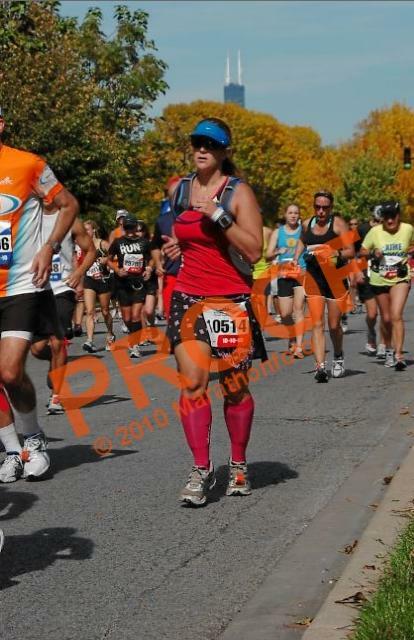 Don’t you hate finding out just how bad your form is when you see race pictures? That girl in white must be high. 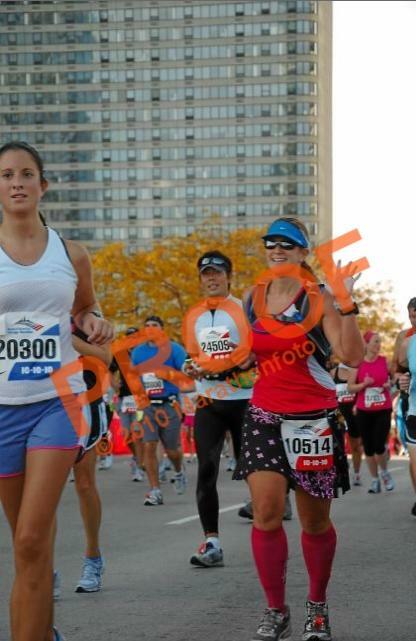 Who the hell has that much energy left to just give a big wide wide smile this far out in the course? 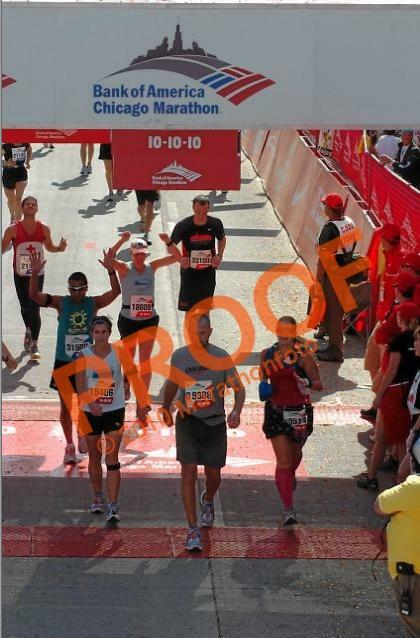 Finally, finally crossing the finish line! I just wanted it all to be done with! This one below is my favorite picture! 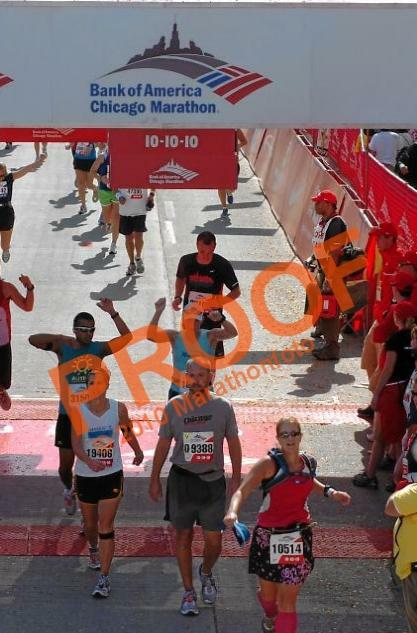 It seems I’m making a weird face, but whatever, I’m crossing the finish with my arms up! 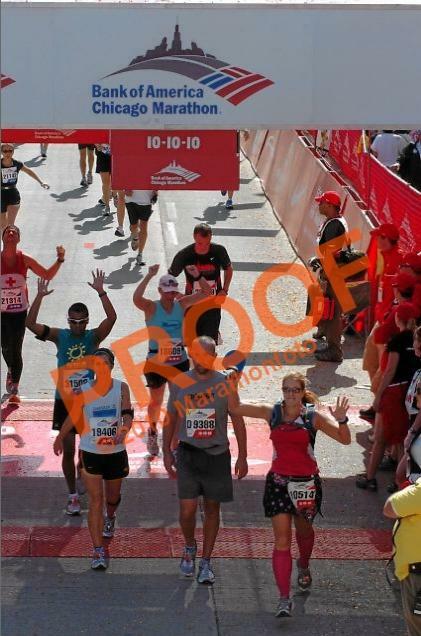 And in case you were wondering, yes, at some point the speakers around mile 15 or so were playing “I throw my hands up in the air sometimes Saying AYO Gotta let go” and I totally threw my hands up in the air and sang along! That was when I was still feeling great. People were looking at my as if I’m nuts. That’s totally my hat there! I also recognize my iphone armband. Thanks, Jamie! 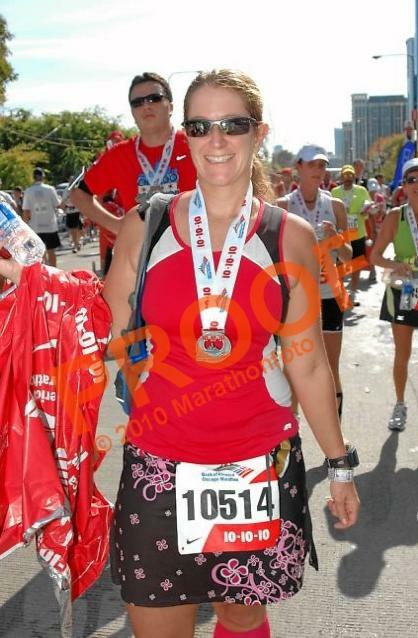 Yeah, it looks like I was in the right place to be seen by the photographers! 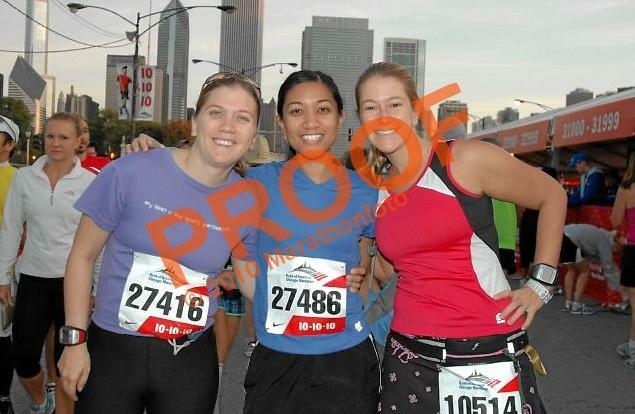 Karl took great photos of you, so I wouldn’t buy any of the pro pics except maybe of you crossing the finish line. Thanks, Zaneta! Maybe the overflow of pink helped after all! I love all your pics! Especially the finish! I tried to smile wide like that girl did for all of my shots. 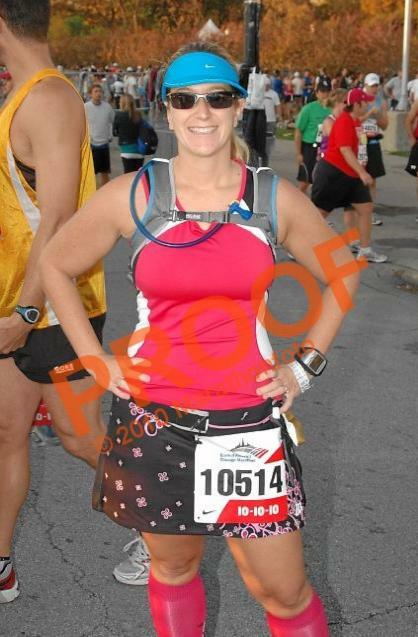 I did too, but the grimace you see it’s all that came out! How did she have the energy to show all those teeth is beyond me!